We all use it and we all love it. Well, I'm just guessing that you like and use Amazon anyway. 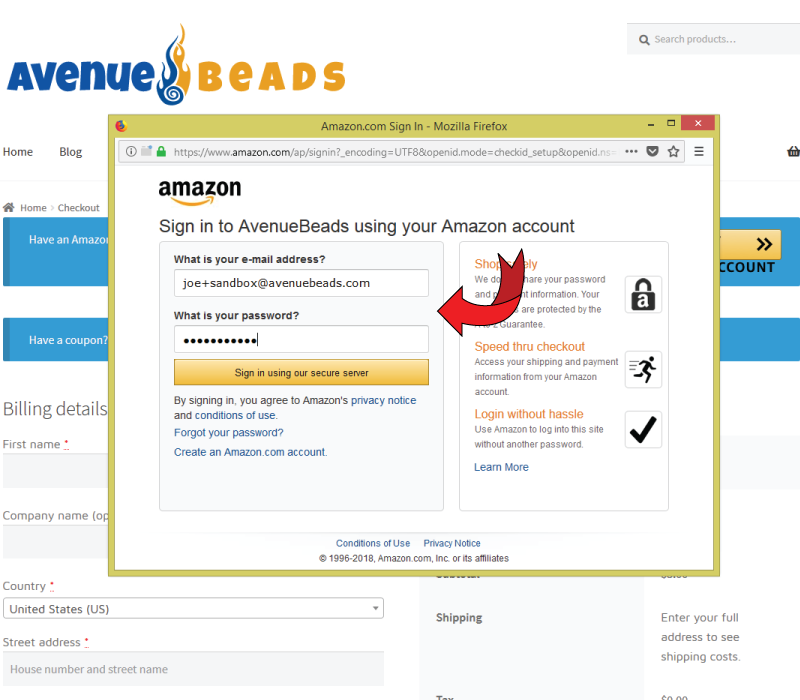 I'm happy to report that you can now log in and checkout directly from AvenueBeads.com with your Amazon credentials and payment methods. Without even leaving the site! Don't want to use Amazon Pay? Paypal is still available as a checkout payment method. Using Amazon Pay checkout method. Once you have your cart full of glass goodness. 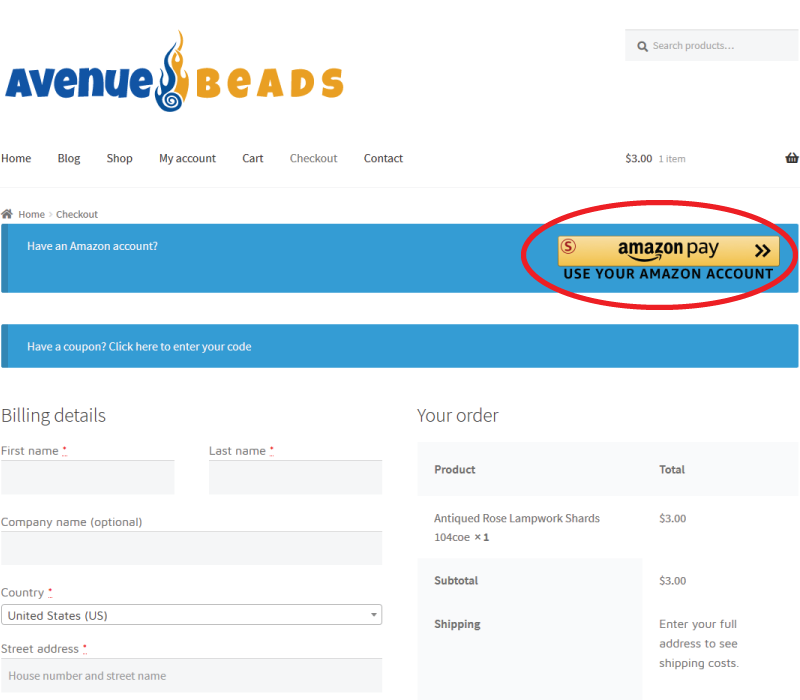 The first step is the same as if you were going to use paypal, by clicking on the "checkout" link at top of page. Or "proceed to checkout" if in cart view. 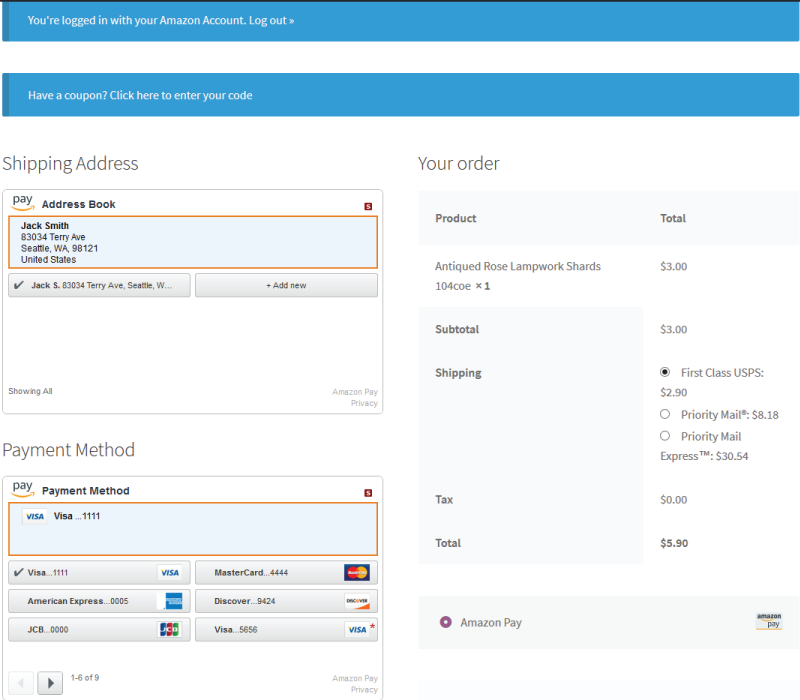 Once inside the checkout page you'll see directly at the top of the option to use Amazon as your check out method. 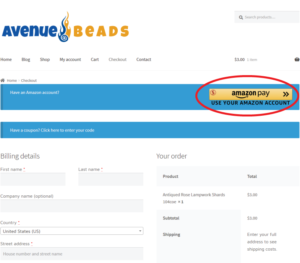 Click on the Amazon Pay logo on the right to proceed. 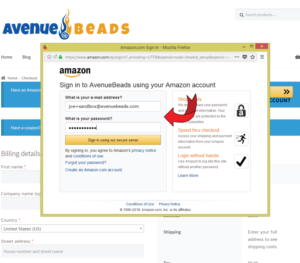 Now all you have to do is enter your Amazon.com login credentials to be taken to the final step. 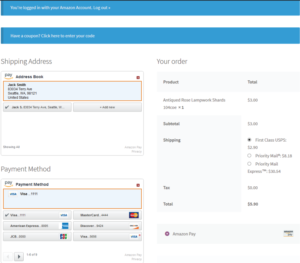 Select the shipping address and payment details that are pulled directly from your amazon account. It's magic! Then all you have to do is hit submit and you're good to go!